We’ve zapped the classic Mary Berry Victoria sponge with a shrink ray to make these adorable little cakes. For the jam, place the strawberries in a large saucepan and crush with a potato masher. Add the jam sugar and heat gently, stirring continuously, until the sugar dissolves. Keep stirring, increasing the heat, bringing it to a full rolling boil, one that bubbles vigorously, rises in the pan and cannot be stirred down. Start timing and boil for four minutes only. Remove from the heat and set aside to cool. For the sponge, preheat the oven to 190C(170C fan)/375F/Gas 5. Lightly grease the tins with butter. 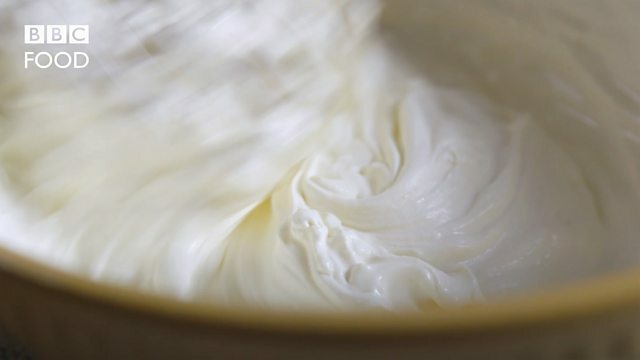 To make the cakes, cream the butter and caster sugar together until the mixture is pale and light. Gradually add the beaten eggs, mixing well between each addition and scraping down the sides of the bowl from time to time. Add the vanilla extract and mix to combine. Sift the flour into the bowl and fold in until the mixture is glossy and smooth. Divide the mixture between the mini sandwich tin cups and level with a teaspoon. Bake on the middle shelf of the oven for about 15 minutes until golden-brown and springy to the touch. Leave the cakes to cool in the tin for two minutes and then ease onto a wire cooling rack and leave to cool completely. 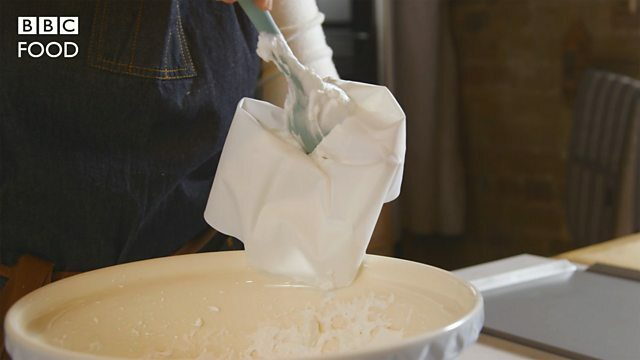 Whip the cream to soft peaks and spoon into a piping bag fitted with a small plain nozzle. Cut each cake in half horizontally with a bread knife. Pipe one dot of the cream in the middle of each cake base and the rest in dots around the edges. 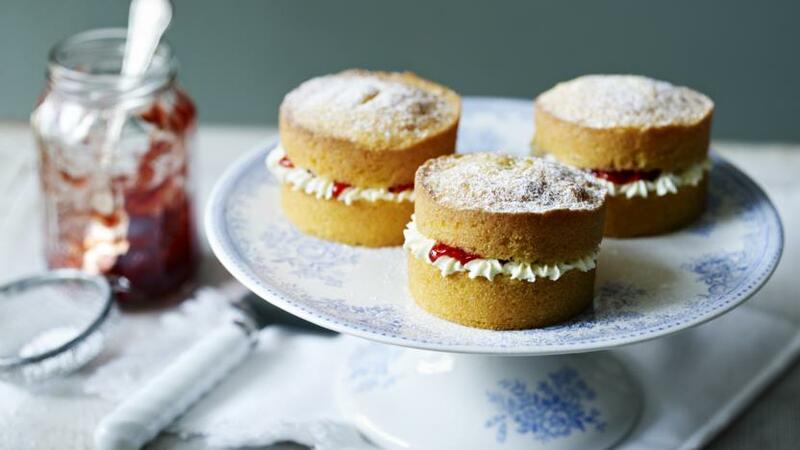 Drizzle the jam over the cream, place the sponge tops on and lightly sift icing sugar over the cakes.